That’s the premise behind Hanson’s Marathon Method–higher mileage so that the runner practices running on cumulative fatigue, similar to the end of the marathon. It’s six days of running with one rest day in the middle of the week, Wednesday. 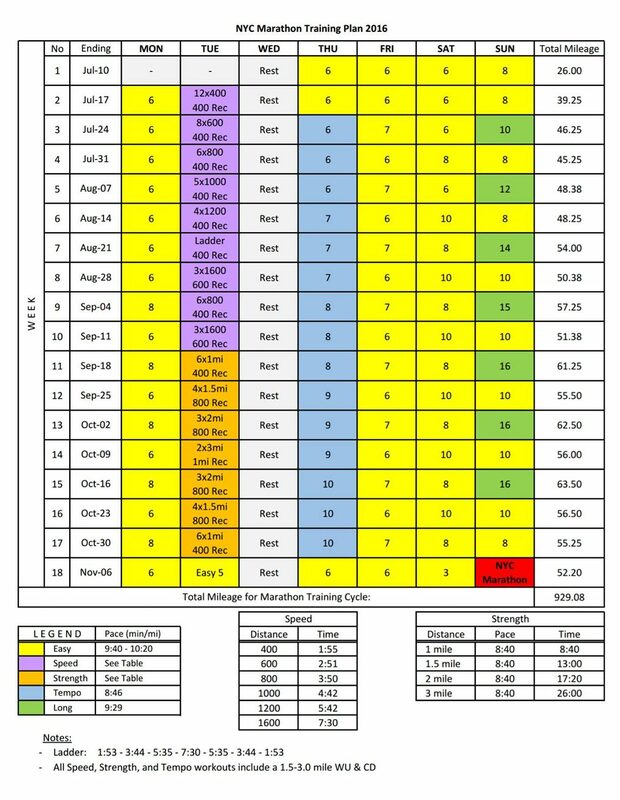 Regardless of whether you choose the Just Finish Plan (which maxes at round 50 miles/week), the Beginner Plan (which maxes at around 60 miles/week), or the Advanced Plan (which maxes out at around 70), it’s a lot of running. So unless you’ve already been training at that mileage, it will take some getting used to. 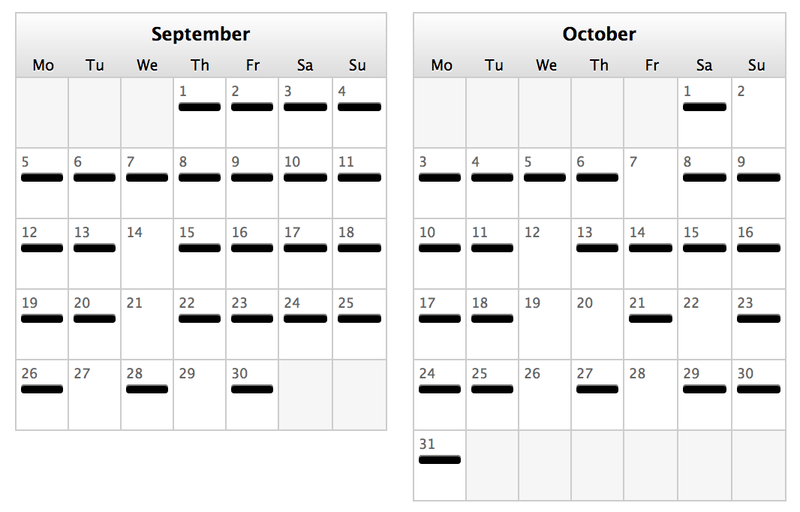 I used a full month as pre-season training to transition to the start of the plan–that way, I wasn’t going from 0-to-60. You are running 6 days a week and each day you are running has a purpose and prescribed pace–Easy Run, Speed/Strength Run, Tempo Run, Long Run. (Speed/Strength Run and Tempo Run are the Something of Substance (SOS) runs.) The book has paces for each run depending on your marathon goal. I liked having a set pace for each run and I liked knowing what each day was “supposed” to be. Some people do not like having such a structured plan, but I’m a rule follower by nature so this was perfect for me, lol. This is not to say that you cannot modify the plan, you can, and there’s a section in the book that talks about how. You can also hire a coach through Hanson’s website and they can create a plan specific to your life schedule. My husband made this pretty chart for me. The Speed/Strength and Tempo Runs come with a 1.5-2 mile warm-up and cool-down that are really essential to the success of the plan. So while the schedule would say 6 Miles Tempo, it was really more than that with the addition of the WU and CD. I mostly stuck to a mile for each and felt that it was super helpful as I began and finished each workout. I don’t recommend skipping it. Running so much leaves little time for cross training and there’s a section in the book that discusses why they don’t suggest it. There’s also a section that include stretches and strength training exercises which they encourage you to include in your training. I did, and I felt that it was a big reason I was able to make it the whole way through without injury. I don’t recommend skipping it. Okay, so there’s some basic stuff about the plan. What I want to share with you next are some more personal feelings/thoughts about it. It’s a lot of running. You know that going in because you’ve looked at the plan. But when you’re in the midst of it all, it can get to be a little crazy. I couldn’t believe I was doing double digit mid-week runs. I couldn’t believe I was running back to back to back to back days. I couldn’t believe a lot of things. I really had to focus on each day/workout and not look too far into the future/week so that I wouldn’t become overwhelmed. 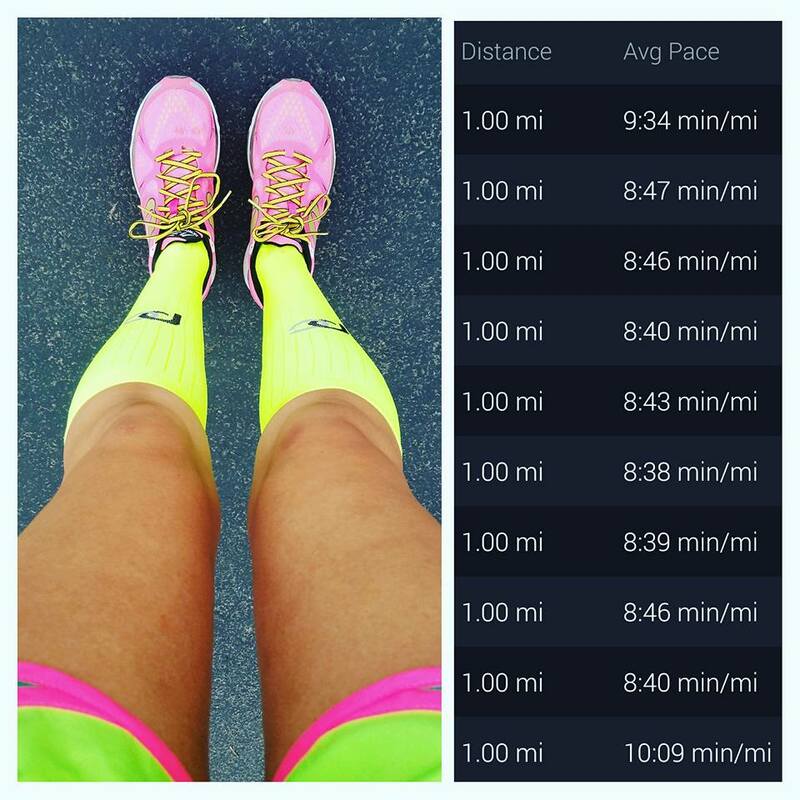 It can be daunting to look at your plan and see you have a 10 mile Tempo Run (that’s really like 12 miles total) and then see a 16 mile Long Run a few days later. I think if you accept the mileage going in, you’ll make your life a whole lot easier. Accept that it’s a lot of running. Trust that all that running is going to help you reach your goal. This also helped me throughout the training. The SOS (Something of Substance) runs are hard but they are the bread and butter of the plan. You’re essentially running at or faster than your goal pace. As each week passed, and the mileage increased for those runs, I would sometimes doubt that I’d be able to nail the paces. I’d have to remind myself that I’d done it before, that’s it’s just ‘x’ amount more miles. It’s hard, but I would try to not sabotage my run before I even started. Positive thoughts. Accept the challenge, and just do it. I found that these runs really built my confidence about my goal pace and also helped me internalize the pace. What I mean is that as each week passed, my body just did the pace. I didn’t have to rely on my watch to guide me. The 8:45 pace became home. 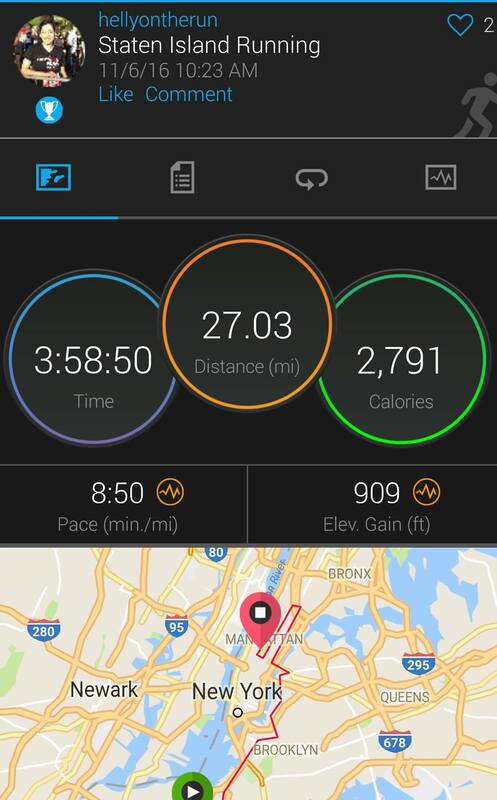 Garmin stats from NYC Marathon. 8:50 average…five seconds from goal pace. The book is sooooo thorough and explains everything. Anytime I had a question/doubt about anything, I would go back to the book. At the beginning, I was running the Easy Runs too fast and then in re-reading the book,I saw how it stressed these be done at easy pace. Once I modified, I felt the difference. Easy means easy. Unless you’re going to use the race as a training run, like legit follow the prescribed pace for the workout, I wouldn’t recommend to “race race” during the plan. My reasoning is that if you run a race and go all out, you’ll need recovery time afterward which means you’ll miss a few days of the plan. And because it’s a tough plan, going back after a fast race, to me, is risky. I did not race throughout the entire time I was using Hanson’s. I wrote about how not working helped me in being able to follow this plan and be successful. And even without that work commitment, I had to make some major adjustments to get each run in. A lot of these runs were done at crazy o’clock in the morning before my husband went to work. Some of these runs were done in the afternoon Arizona heat, as that was the only time I could get it in. When I went to visit my sister in Ohio, I planned in advanced when I would run (and ran in the rain on a few occasions, lol). I had to do what I had to do to make it work. Many people who do have jobs have used this plan and have made it work. It just requires you to plan ahead, be disciplined, and stay committed. Hard, I know, but you already know going in that it’s 6 days of running. You gotta get it in somehow. As you can see from the pictures, I did pretty good following the plan, especially at the beginning lol, and didn’t miss a whole lot of days. When I did take an extra rest day, I tried to have it be on an Easy Run day. The SOS runs are the biggies and I didn’t like missing those. That being said, if you have to miss a run, just pick up where you left off. I wouldn’t try to “make up” the miles. When I visited my sister in Ohio, I missed an SOS Tempo Run. So on my 16 mile Long Run day later that week, I did 5 miles at Long Run pace, 6 miles at Tempo pace, 5 miles Long Run pace. Bam, done. Never once did I feel like I needed to do a 20 miler. I know that a lot of runners feel like they need to get to that major distance at least once in their training, but with Hanson’s, the three 16ers, the tempo runs at race pace, and the high weekly mileage was enough to make me feel like I was ready. I absolutely love this plan. 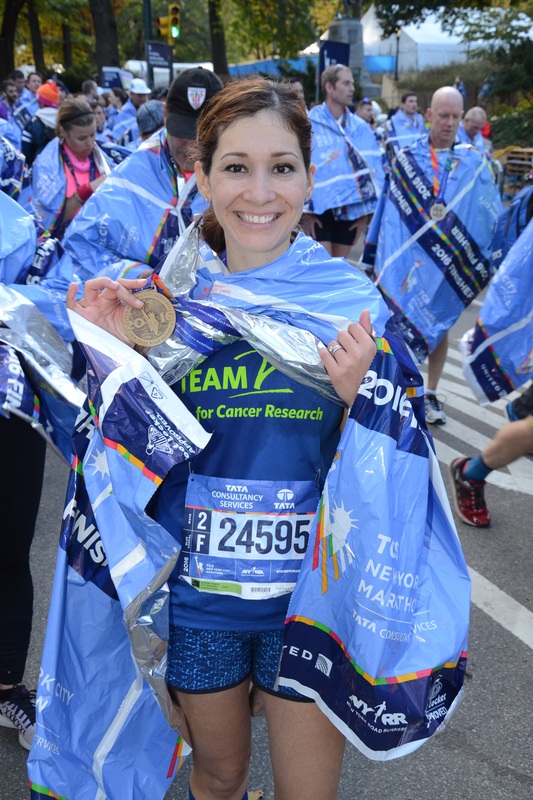 I felt that it put me in the best running shape of my life and I had never felt as confident going in to a race as I did at the start line of the New York City Marathon. I knew I had trained well. And I met my sub 4 hour marathon goal. 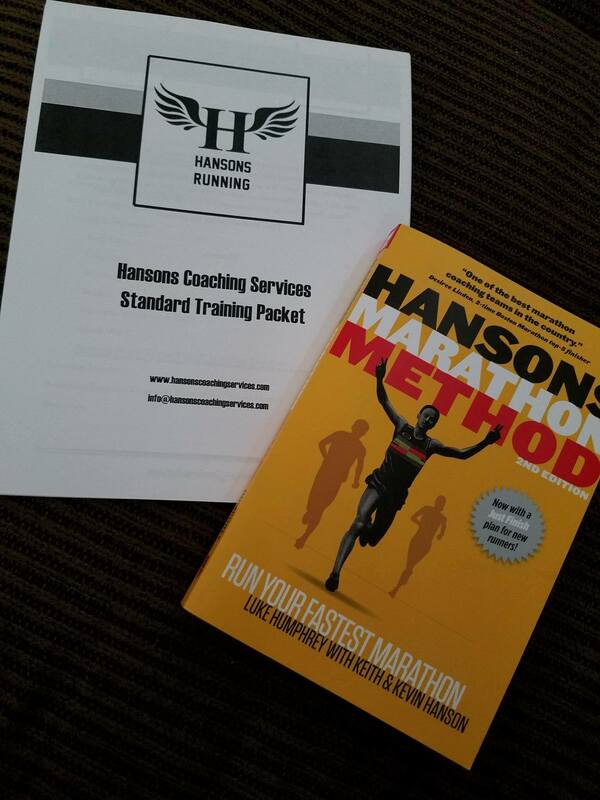 –Have you used Hanson’s Marathon Method? What advice would you give to someone wanting to try the plan? –Do you have a favorite training plan? –Are you a good plan follower? I AM SO HAPPY FOR YOU. STILL!!! And I’m so glad you posted this. Since I never got around to doing it!!! Although it’s work and although you run ALL THE MILES, I have to say, I am obsessed with this program. It definitely shows you what you are made of- grit and ferocity! I am so proud of you, Helly. Wow I was running like 130 miles a month on the NYRR marathon training plan. If you read my recap you know I was not pleased with my performance so I may give this method a try for my second marathon whenever that may be. Awesome time btw! Fun!!! It was a tough course but man, what energy!!! Congrats on nailing your goal time! I’ve been wondering about this plan and how it actually works. I don’t think I’d be able to stick to 6 days a week- I currently run 4 days a week and occasionally 5 (training for a challenge race so every other weekend I have back to back long runs) and am really feeling almost burnt out by that. So the 6 days a week would be too much for me I think. But I’m glad to see it worked out well for you! Definitely was interesting to read your review of the plan! I was running 4 days a week before this plan as well and it def took adjusting. I think I would use this plan for goal races only, lol! Loved this and really want to read this book! I also want a husband who makes these pretty plans for me 🙂 Great job babe! I’m lucky he’s tech savvy b/c I’m SO not, lol! I love this review. It almost makes me want to use Hanson’s for training. Almost. I love that you found something that works so well for you. You were fierce during your training. You are a warrior woman. Excellent review. I tend to create plans for myself that are a combination of Hanson’s and Higdon. High mileage midweek runs are so great. But you do have to be committed and as the training goes on you really do need to train your brain. What you did and how you handled this is perfecto! Great post! Great review!! I’ve been looking forward to reading this – as you know, I’ve adopted this as my the plan for my next marathon. I agree the book goes into great detail and it is very important to get your head wrapped around the schedule and hard workouts before starting. Running 6 days a week, with a tough commute and job is going be a challenge, but I think it’s doable. I’ve spent most of the past month, figuring out where I can fit in all of the prescribed runs without sacrificing too much life and family stuff. I think you may have a newer version of the book…the one I have only as 2 plans, beginner and advanced. I’m going to use the “beginner” as it gets close to 60 miles a week at the peak. I noticed your long runs progressed 10, 12, 14, 16…the ones in my book don’t seem to ramp up like that – is that something you modified? I’m also targeting the exact same pace goal – 8:46. Congrats on your huge success and if I can even come close to achieving a similar result, I will be more than happy! Yep, I don’t remember what week it was but there was this jump that I thought was a bit severe so I changed the progression to make the transition a little easier, lol!! I’m looking forward to following your training journey with this plan! yeah, i noticed that too, it jumps from 10 to 15 back to 10, then 16…i think! unfortunately i just lost most of a week due to being sick, but getting on track now with 4 runs in a row, finishing with the 8×600 speed workout today! Wow this is a really in depth review into Hanson’s. I would look into something like this if I didn’t build my own plans. I run a lot of miles as it is, so this would be a good fit. Will you use this method from now on?? It never fails – whenever I read one of your posts it makes me feel like getting off my lazy bum and out for a run! This was a great recap of Hanson’s and I’ve recommended your blog to all my IRL friends who are interested in Hanson’s. You are a great testament to the plan working. 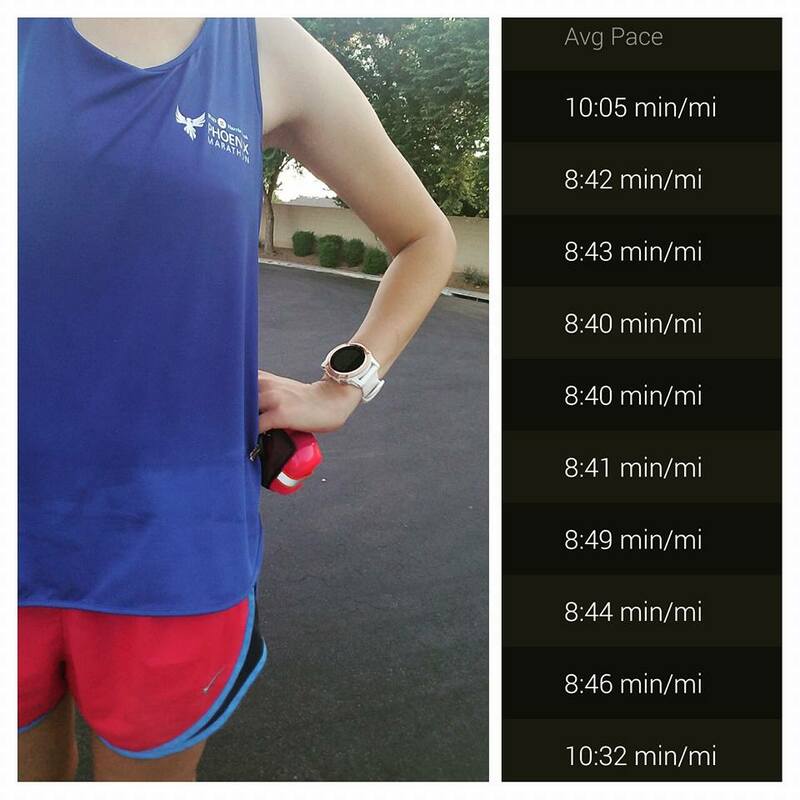 How is your PHX Marathon training going?? That’s a great writeup on Hanson’s. I tried it earlier this year for a marathon that I ended up not running, and it wasn’t for me. I like racing and you’re absolutely right that all out racing messes with the plan. The plan is very appealing and I want to use it, but I know it’s not for me. Everything you said about it is so true though. I’m sure others will be inspired to use it. Thanks!! Yes, this plan is not for everyone and while I loved it, I can’t imagine doing it now that I’m back working full time.